Cabanas Velhas, meaning old huts, is a small embayed beach located in the southern Algarve, about 20 km east of Cape St Vincent. The beach is in the easternmost stretch of a 110 km-long Natural Park that includes the entire southwestern coast of mainland Portugal. Composed of pre-Ordovician shale and greywacke cliffs in the west and Jurassic to Miocene limestone and marlstone cliffs in the south, this rocky shoreline is punctuated by several embayed or pocket beaches. These are often associated with small estuaries, which are biodiversity hotspots within a rugged, yet diverse landscape, where human activities, related mostly to agriculture and fisheries, can be traced back to the Middle Stone Age. 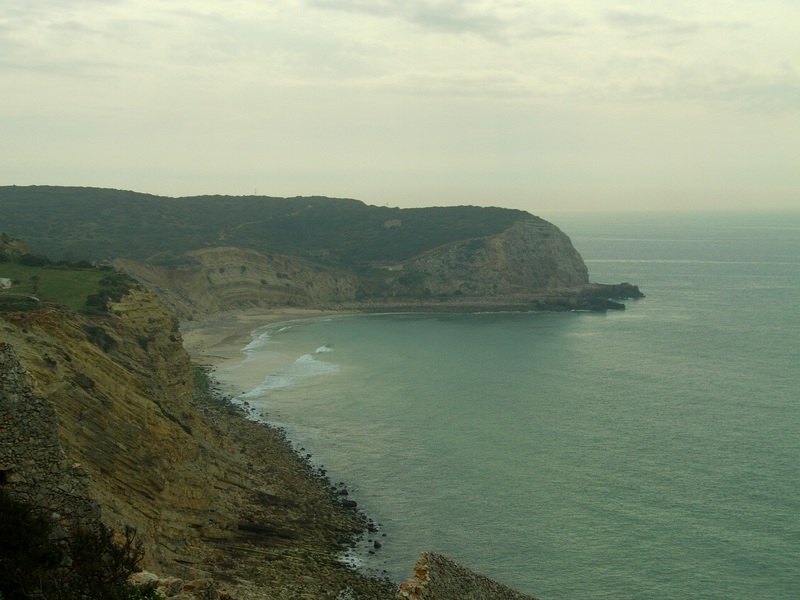 The short and narrow beach of Cabanas Velhas is bordered in the east by a limestone headland, and an abandoned quay that served a limestone quarry in the late 40’s, but nowadays is only used by fisherman. This headland partially protects the beach from the southeastern waves generated within the Gulf of Cadiz by local winds (Levante winds). The beach is fully exposed to southwesterly waves and storms from the North Atlantic. Storm waves in excess of 4 meter reach the beach almost every winter, turning a sandy beach into a boulder beach in just a few days. The beach is, however,fully exposed to southwesterly waves and storms, from the North Atlantic. Storm waves in excess of 4 m reach the beach almost every winter, turning a sandy beach into a boulder beach in just a few days. The sand veneer that covers the beach is rapidly eroded from the beach,exposing the pebbles and boulders to wave action and being transformed into a pebble beach. As wave action continues, the pebbles and smaller boulders are moved around and frequently sorted into well-defined storm cusps. Dramatic natural changes occur not just at Cabanas Velhas but at other similar beaches around the southern Portuguese coast, with sandy beaches in the summer becoming completely stripped of sand during the winter. 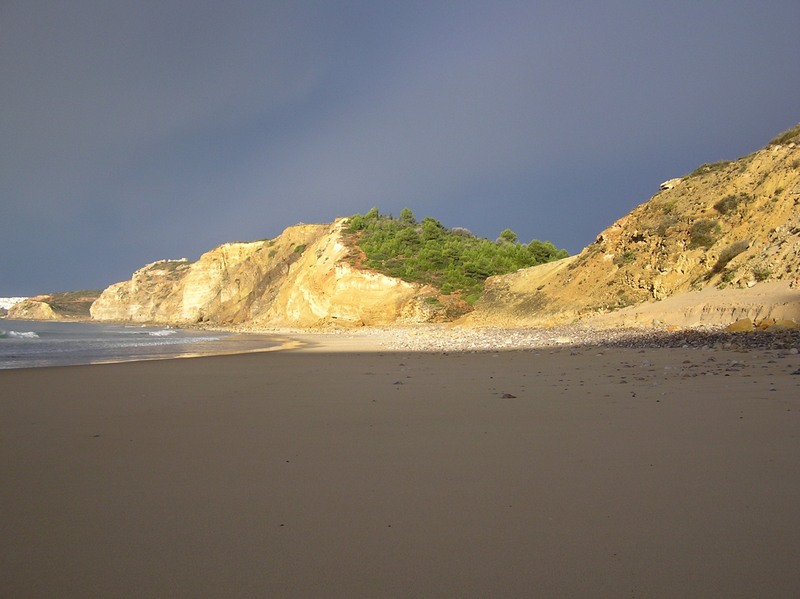 Recovery of sand veneers during the milder summer season does occur at least partially on most beaches, yet some may remain devoid of sand for several years, before sand returns to the beach from natural offshore storage areas. In nearby embayments, where small fishing boats are dragged through the sand, to and from the sea, fishermen have adapted their methods for accessing the sea using wood logs to prevent hull damage when the sandy beach is absent. 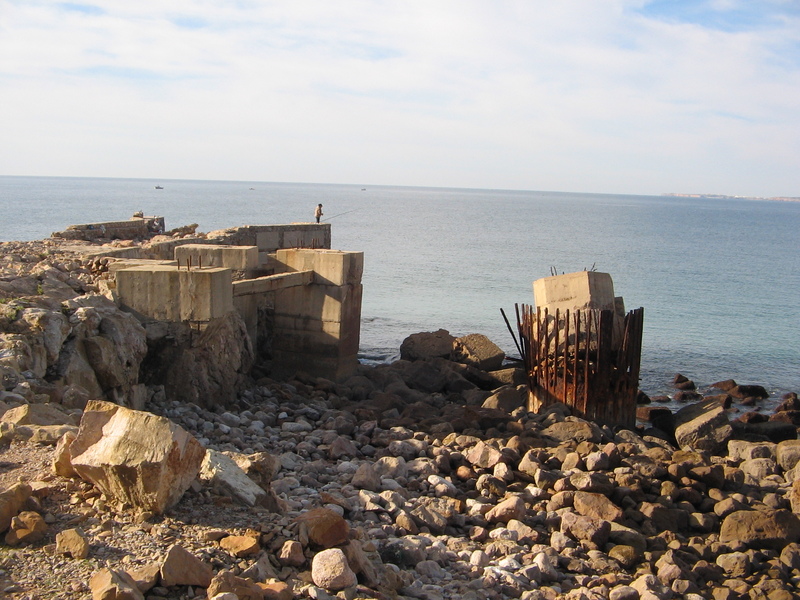 The photographs show different views of Cabanas Velhas beach and the abandoned quay. A striking contrast between the beach in the late summer of 2007 and just a few months after, when stormy waves that easily reach the cliff base at high tide, strip the sand out of the beach.